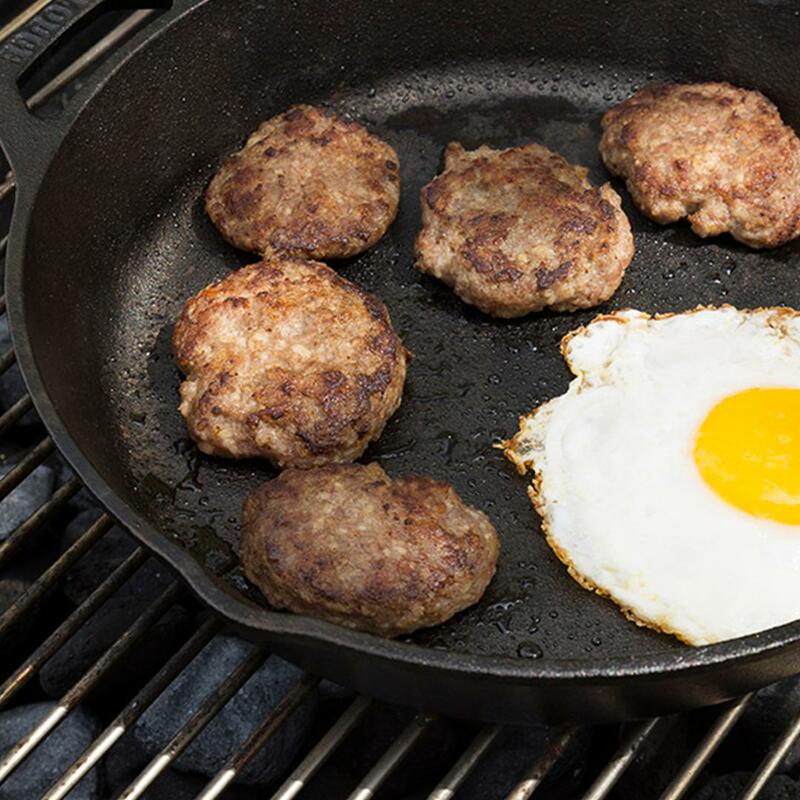 Heat skillet over hot coals. Lightly grease pan. Brown sausage. Keep warm on grill. Cook eggs, sunny-side up or scrambled. While eggs are cooking, toast bread on grill, turning once.